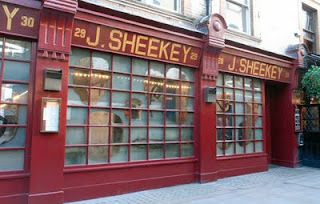 J Sheekey is another one of those restaurants with tinted frontage and that air of old world mystique. With the windows spoiling the chance to peer inside, my interest was piqued as a youngster when I was genuinely curious, although it seems that this had dissipated somewhat over the years, which is probably one of the reasons I had never visited before. However, when the opportunity arose to choose somewhere for a client lunch, and combined with my newly discovered adventure with most things fish, I thought I would give it a go. Inside, it is pretty much what you would expect. Well dressed waiters, a rather dull brown room, and packed with middle aged men and women in suits and their Sunday best (even on a Friday). The service can be best described as "traditional". That having been said, there was a pleasant hum about the place, and what followed was genuinely enjoyable. After a good mozzarella, fig and rocket salad (my attempt at eating something light), I opted for a main of smoked haddock, poached egg and crushed horseradish potatoes. I wanted to be a little more adventurous, but my dining partners had opted for the sole options on the menu (slip and lemon) so I stuck with something I knew I enjoyed. The portion itself was huge. 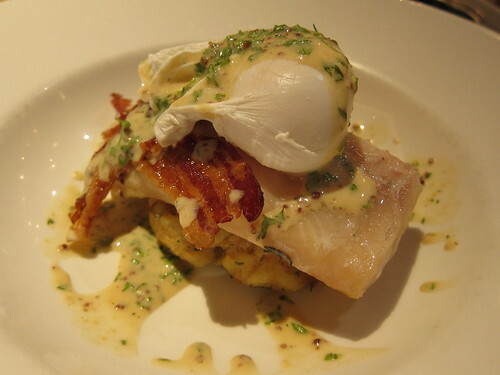 Adorned with a shard of bacon, I was breaking off tender flakes of slightly salty fish, being mellowed out with runny yolk and potato. Rich and extremely satisfying. The other slabs of fish around me looked perfectly cooked and I even managed to snaffle a taste of the lemon sole which was simply done, finished with a squeeze of lemon and tasted excellent. A special mention needs to go out to the chips. Be they triple cooked or no, they were crisp and evenly fried on the outside, maintaining an almost silken texture on the inside. One of the best chips I have ever had in London. By the time dessert rolled round, I again thought I had opted for a light option of frozen berries and white chocolate sauce, but how wrong I was. 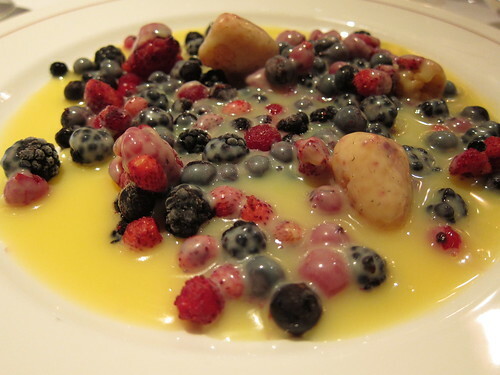 The delightful plate of berries, made up of a multitude of fruit including tiny wild strawberries (there are few finer fruits), was doused in thick and very sweet white chocolate sauce. It had a consistency of treacle, and although matching the fruit well, the sweetness soon overpowered everything. I could have done with half the amount of sauce. J Sheekey serves some of the best fish I have tasted in London, and is a place I would happily visit again. One thing to note is it definitely is not cheap. 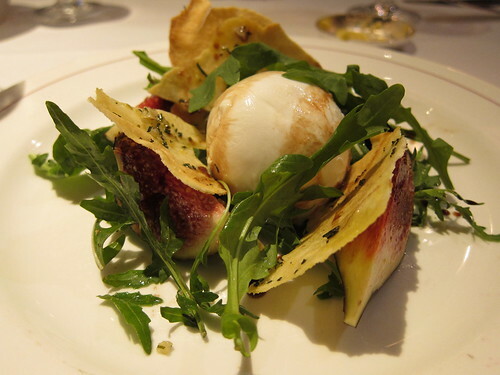 Expect to pay around £50 a head for 3 courses and a glass of wine. However, if you do fancy a bit of old world glamour, get on your Sunday best and head down (and don’t forget the chips, we had to order two portions). I've got a lot of time for Sheekeys, not the best food out there but there is so ething about the old place that keeps us coming back!